Customer service is key to your company success. Why use live chat software? Engagement and communication are key factors required for customer satisfaction. Live chat can address this if used correctly. Knowing the following advantages of live chat software can help you maximize the software’s effectiveness to boost your business operations. A live chat system lets customers multitask while they do their online shopping and wait for one of your agents to help them. The wait time is usually less than a call center. Providing assistance and helping them resolve their issues in a fast way is crucial because customers have having to wait around. On average, live chat agents can respond within 20 seconds to 40 seconds to solve a customer’s problem. It is also hassle-free to use compared to dialing an 800 number or having to send an email. Customers expect live chat today. In business, time is money, and it is one aspect that’s covered by a customer chat support. It reduces phone call time. 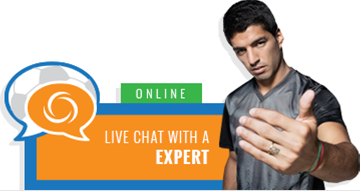 Doing a live chat session is more reasonable than having to make a phone call. One single agent can handle multiple chat sessions at once. It is even cheaper than a phone call. The waiting queue can be cut down to a fraction of the time spent waiting for phone support with a deflection rate of 70% from calls to live chat. This will, without a doubt, increase sales and efficiency for handling customers simultaneously and also lessen the need for hiring more agents. Pain points refer to customer’s needs or issues that have yet to be addressed. Many marketers turn these pain points into huge profits and sales opportunities by coming up with a solution. While most of them try to address this via social media or blog content, using live chat is more personalized. It gives immediate access for customers to ensure the product performs as well as it’s advertised or asked about a promotion to give them the discount they want. The management can also view chat histories to have an insight on their visitor’s common pain points and come up with an effective solution to target them. Furthermore, the chat histories allow supervisors and managers to discover and find ways to help customers resolve their problems by sorting, searching, and filtering these pain points in a fast way. Live chat provides high customer satisfaction levels compared to other support channels. It’s easy to see why customers will always choose a company that offers live chat as a feature. Consumers feel confident doing their transactions because they know that an agent is available to chat with them right away. If you are interested in live chat software, please contact us today!